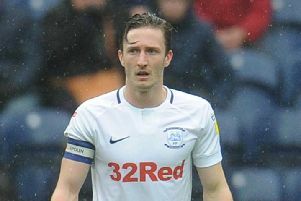 Preston North End pair Andy Boyle and Graham Burke made debuts for their new loan clubs on Saturday. Boyle was a half-time substitute for Ross County in their 2-1 win at Dunfermline in the Scottish Championship. Burke on the other hand played the full 90 minutes for Gillingham in their 1-1 League One draw at Coventry. The forward joined on a season-long loan on deadline day having found opportunities limited since his summer move from Shamrock Rovers. The 25-year-old’s performance at the Ricoh Arena drew praise from Gills boss Steve Lovell. “I thought he was excellent,” he hold the club’s official website. “His composure on the ball, his brain and his mobility were excellent for us. He brings a new dimension to us. Fellow Irishman Boyle had joined the Staggies earlier in the week. He entered the field at the break with his side 1-0 down only to see them come behind for a 2-1 victory that kept them three points clear at the top of the table. “After the loan spell in Dundee, I had a couple of offers in Scotland,” Boyle told The42. “I had offers in England and offers at home too. Elsewhere on the loan front Chris Maxwell is still waiting for his Charlton debut after being a substitute against former club Fleetwood on Saturday.